How his glance brightened up a morning otherwise notable for its grey clouds! 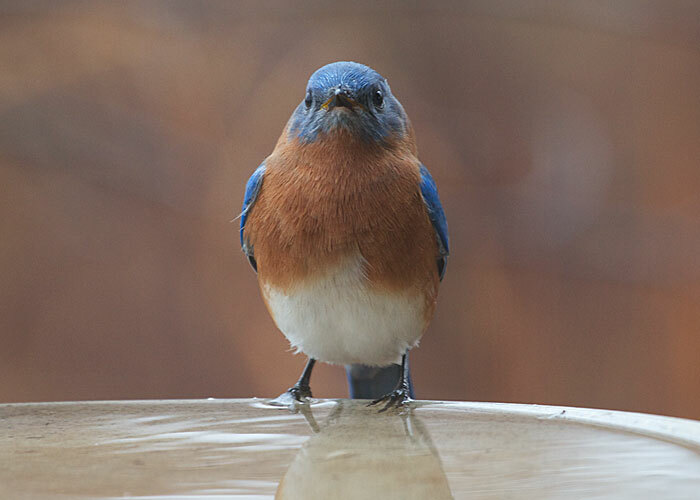 Our bluebirds are lingering late into the fall at Birdwatching Dot Com this year. 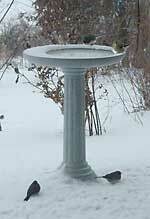 They stop by every day for a drink from our Kozy Spa birdbath. We love this bath because it is heated from inside the bowl, and it keeps the water thawed all winter. Our birds love it. This photo was taken at Birdwatching Dot Com. It has the popular new open-bridge design. And it's hand friendly to the last detail. Outstanding optical quality. We were surprised to find it costs only $350.